Wow, do we have a great episode for you today. 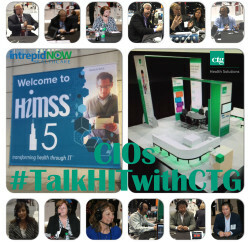 We are tossing out our typical format and hosting a roundtable discussion on ICD-10. Joining the discussion is Joe Lavelle, Owner and President of Results First Consulting; Brad Justus, Client Development Director for K-Force Heath Care; and Steve Sisko, Senior IT Project Owner from a large payer. Overview of the transition from ICD-9 to ICD-10. Why is this transition important? What are the key challenges with this transition? What are the true opportunities? What should organizations be working on now? What about those organizations that have NOT started the transition, what should they do next? What are the ramifications with the October 1, 2014 deadline? Will another delay be required? What about the patient care and financial impacts of the ICD-10 transition? To get in touch with the three panelists, contact them here: Joe Lavelle at jrl@resultsfirstconsulting.com; Steve Sisko at shimcode@gmail.com; Brad Justus on Twitter at @Brad_Justus. To be notified by email when a new show featuring industry experts is published, join our mailing list here! CLICK THE IMAGE BELOW TO LISTEN TO THE COMPLETE ICD-10 SERIES! 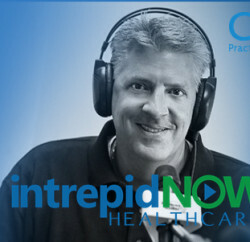 Catch the latest episode of intrepid Healthcare DIRECT to your INBOX, or through iTunes! This is great intel into this ever-changing field!